At Walnut Creek Caskets, we manufacture caskets of the finest quality for families to create a lasting memory in honor of their loved ones. 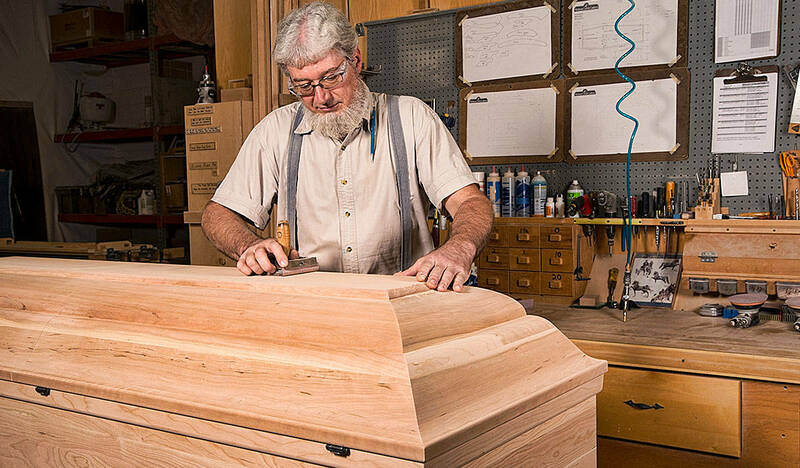 Since 1940, we have used the finest old-world traditions to craft our line of solid wood caskets. 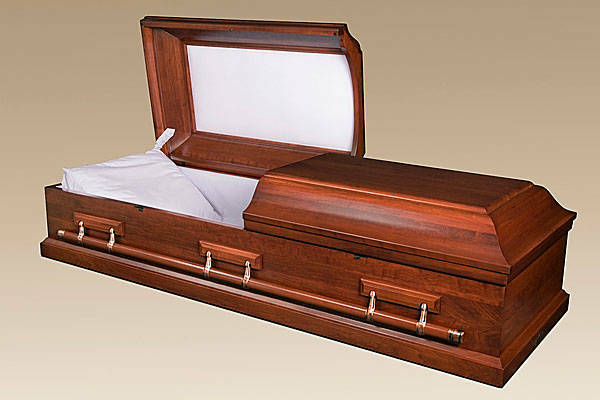 Walnut Creek Caskets is family owned and operated. All caskets manufactured by Walnut Creek Caskets are expertly sanded in preparation for finishing, as well as between finish coats. On stained caskets, a wiping stain is followed by a sealer and two coats of catalyzed Resistovar conversion varnish. Caskets with a paint & glaze finish receive two coats primer and a pigmented, catalyzed conversion varnish paint, followed by a hand wiped glaze and two coats of catalyzed Resistovar conversion varnish. Caskets feature beautiful fabric interiors and quality hardware. Adjustable beds and plastic liners are featured in all styles except Erlenbach and Eco-Friendly versions. Styles are available in solid wood species of cherry, red oak, quarter-sawn white oak, poplar, and knotty pine with several oversized options. Our heritage is woodworking, not only for the Schrocks family, but for our many skilled craftsmen who put forth the extra effort to make our products not only uniquely beautiful, but functional as well. 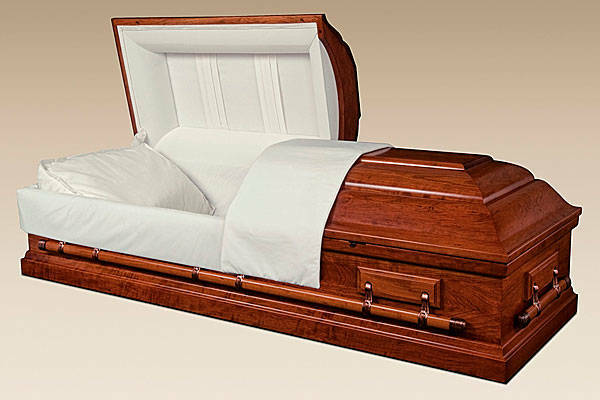 We, at Walnut Creek Caskets, take great care to provide a beautifully crafted casket to meet each family’s needs. 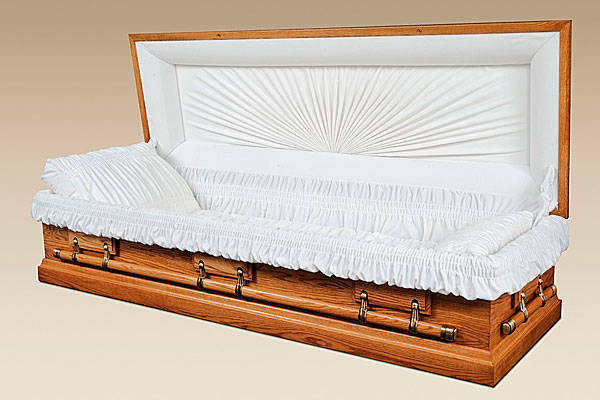 Our caskets may be purchased from select Funeral Homes throughout the United States. © 2018 Schrocks of Walnut Creek, Walnut Creek, Ohio (330) 893-2141 © Site Design 2018 Morehead Marketing, Inc. These images may not be used in any manner without written authorization from the owners.